Customer service and refund issues are to blame. Update: Epic has sent over a statement regarding the Better Business Bureau's F rating. While the BBB says Epic did not respond to its complaints, Epic says the problems were still submitted to the support team. "Epic Games is not affiliated with the Better Business Bureau and has redirected all player submitted complaints from the BBB to our Player Support staff," an Epic representative told PC Gamer. And here's the customer service page if you've got any problems. Original Story: The Better Business Bureau, the American consumer watchdog, has given Epic Games an F rating after it failed to respond to over 200 complaints from the organisation on behalf of customers. 279 complaints have been made over the last three years, all but eight in the last year, and Epic hasn’t responded to 247 of them. Most of the complaints relate to customer service or refund issues, says the BBB. The blog post from the organisation cites a couple of them. 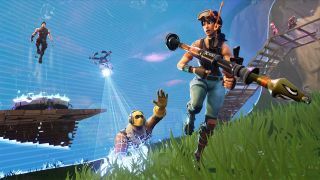 One claims that Epic didn’t protect their account and several charges were made to it without the customer’s knowledge. Another alleges that Epic wouldn’t respond after after an unauthorised charge of $160. It’s worth noting that the BBB is a private organisation and, for a large company like Epic Games, the rating probably won’t mean very much. Valve received the same rating in 2015. Blizzard, meanwhile, has an A+, as does Activision. Despite the positive ratings, they both have less than two stars from customer reviews. The BBB has been accused of giving higher ratings to accredited, paying members, which includes Blizzard and Activision, but doesn’t include Valve or Epic. Not all non-members have low ratings, however. EA has somehow managed to get an A-, despite consistently being hailed as one of America’s most hated companies. The jump in complaints over the last year is no doubt due to Fortnite, but with the Epic Games Store now up and running there are even more opportunities for customer service snafus. It's a minimalist store with no forums, so more complaints seem inevitable. At least the Byzantine refund policy has been fixed.